Do a search for a VPN, and a boatload of choices will appear in the blink of an eye. This can be quite intimidating for any VPN user, particularly for those new to this area. 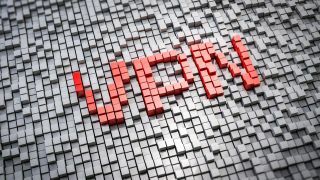 After all, just a few short years ago, VPNs were more for the tech elite, but these days a VPN is more mainstream. Before anyone gets overwhelmed, we can break down the important factors to consider when choosing a free VPN service - and most of this will apply to paid VPN services, as well. Just be aware that choosing a free VPN too often involves compromising as the user cannot get all the vital features in a single service. For a more rounded, no-compromise service, a paid VPN is the better choice. And are free VPNs any good for Kodi? An important aspect of a VPN is the number of servers that it has. This determines a few things, such as how fast the service will be to establish the initial connection, and the overall speed of the connection. The other issue is the location of the servers, and it’s a case of the more countries the better, whether for bypassing a geo-location restriction to view video content, or to shop for a better deal overseas, such as for an airplane ticket. A free VPN typically restricts the free users to just a few locations, and reserves the full array of servers for the paying customers. For example, ProtonVPN on its free tier has servers in only three countries, while all the paid tiers have access to servers in 32 countries. WindScribe is similar, with the free tier only having servers in 10 countries, reserving the full set of servers - in 60 countries and 110 cities - for the paid tiers. Once the VPN encryption tunnel is established, it is important for it to be monitored, and that it remains up. Otherwise the unsuspecting user can lose the VPN protection, and be totally unaware that the VPN has gone down. The solution to this is an automatic kill switch, that can monitor the connection, and stop the internet traffic if the VPN goes down. While one option is to have a separate software kill switch, the more convenient, and easier to configure option is to choose a VPN that has already integrated this important security feature into its software. So why would someone choose a VPN without an automatic kill switch? Well, there are free options that lack it. For example, some VPNs provide a browser-based extension as a free VPN option, such as CyberGhost. As seen in the screenshot above, with a little digging, we can figure out that while CyberGhost’s paid offering has the kill switch, the Chrome browser extension lacks it (and some other features as well). Even worse, some VPNs do not indicate if there is a kill switch or not, leaving the user thinking they are protected, when they are not. On the other hand, TunnelBear VPN does have a kill switch, although this is called VigilantBear. Therefore when selecting a VPN, be sure to look for, and confirm that it has this important feature. For example, with ProtonVPN, we could easily find the following: “Under Swiss law, we are not obligated to save any user connection logs, nor can we be forced to perform targeted logging on specific users.” It is also reassuring that the same applies to users of its free VPN as well. Not every VPN is as transparent on this front, though, so be warned. Users should seek to have VPN protection on each of their devices, so pay attention to what platform the free VPN supports; most support Windows and macOS devices. When it comes to Android devices, there are few good options for a free VPN, as they are too often riddled with security flaws. Browser-based free VPNs are quite useful, such as SurfEasy which is integrated into the Opera browser, or ZenMate that has extensions for both Chrome and Firefox browsers. Recently, the Opera browser extended its free VPN for the desktop browser to the Android platform as well. Also, keep in mind that this approach protects the browser traffic, but not other network traffic from the device. A significant weakness of a free VPN is that many of them limit the amount of data you can use. For example, TunnelBear has a low monthly data limit, even among free offerings, of a mere 500MB, which any user that plans to stream video will use up very quickly. Better options do exist for those users that want a free VPN with a higher monthly data limit. These include the Opera browser, ProtonVPN, and the ZenMate browser extension - all of which have unlimited data for non-commercial use.